Heat reflective and breathable bedding blanket. Heat reflective and breathable bedding blanket. Scientifically developed using latest tehcnology and independently proven to reflect approximately 75% of radiated body heat. Can be used on its own or on top of other bedding. 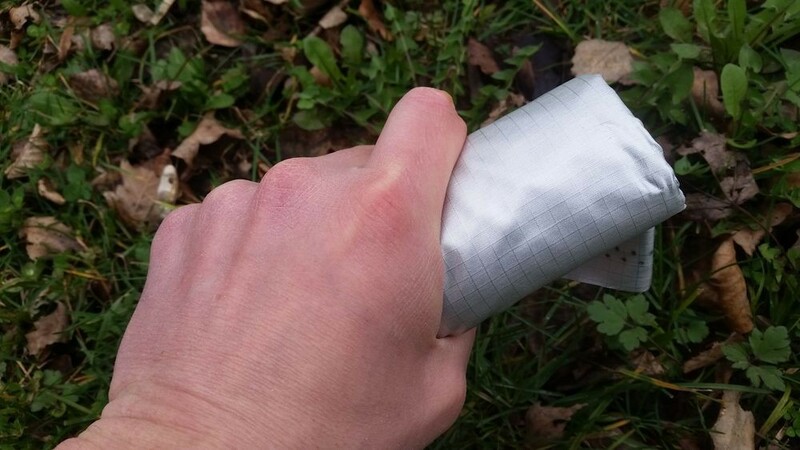 For maximum warmth use with silver side facing outwards (good thermal reflectors are poor thermal emitters). Contact with any chemical substances (including body creams and lotions) may damage this product. The Thermartex launch product is the Bedding Blanket. It can be used on it's own or on top of other bedding, is showerproof and suitable for use in any dry environment both indoors and outdoors. Measuring approximately 1.6m x 2m and weighing only 200g the aluminized woven rip-stop nylon blanket is highly breathable and reflects 75% of radiated body heat. It is ideal where thermal performance, weight and packing size are important. It is primarily intended for use as a camping blanket, travel blanket, sleeping bag or normal bed cover, but has many other applications. 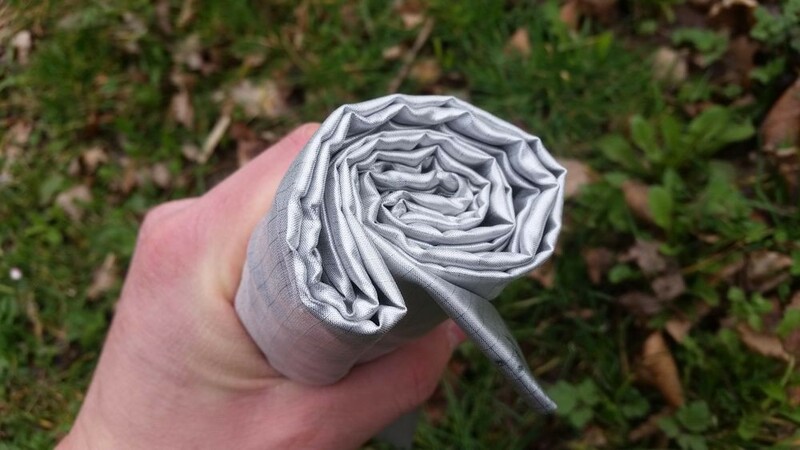 The latest Mk3 version is more robust (especially when damp or wet) than previous versions. The blanket should be kept away from fire and other sources of ignition. It should also be kept away from salt and other chemicals as these may damage the heat reflective coating. It is not suitable for use as a Emergency/Survival blanket. Note: When necessary the blanket may be gently hand washed in cold water. Do not use cleaning agents/detergents etc. Alternatively it may be cleaned professionally using the widely available and environmentally friendly “Green Earth®” process. 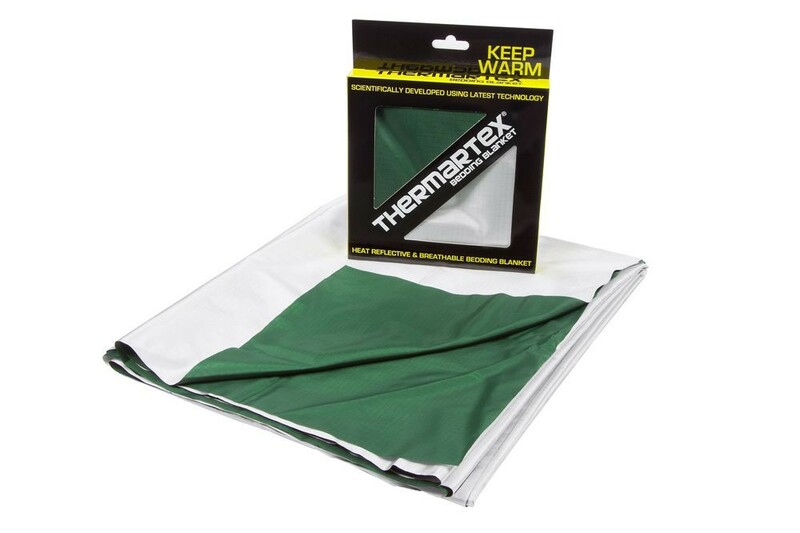 "Thermartex®" accepts no responsibility for damage resulting from washing.